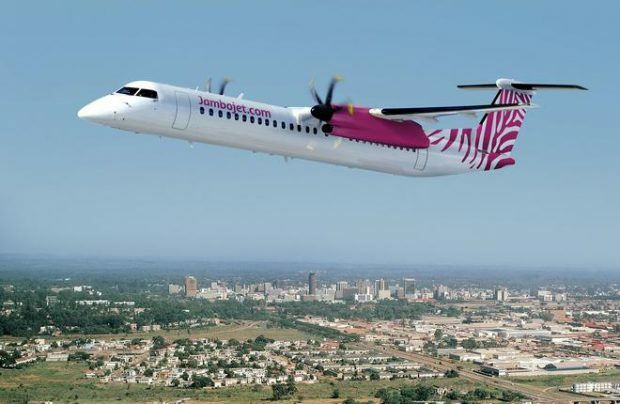 Moscow-based lessor Ilyushin Finance Co. (IFC) has leased two Bombardier Q400 regional turboprops to Kenyan low-cost carrier (LCC) Jambojet, a subsidiary of Kenya Airways. This is the Russian company’s first contract involving Western-built aircraft. The deal was struck shortly after IFC firmed up one of its five Q400 options and added it to its single firm order for the type, Bombardier reports. The first Q400 delivery to Jambojet is expected in May; the second airframe is planned to be delivered before the end of this year. The two aircraft will bring the total Bombardier Q-series fleet on the African continent up to 120 (this includes 70 Q400 airliners). Bombardier has a total of 573 Q400s on firm order. Jambojet was created less than two years ago, and operates flights from Kenya’s capital city Nairobi to domestic destinations. The airline’s fleet comprises two Q400s and two Boeing 737s.